Idvac new innovative process to add extra overt features to the design of holograms. Bright colours of Green or Blue are vacuum metallized in a standard vacuum roll to roll metallizer. No dyes or wet surface coatings are used. No requirement for gravure printing or heating to diffuse colours. 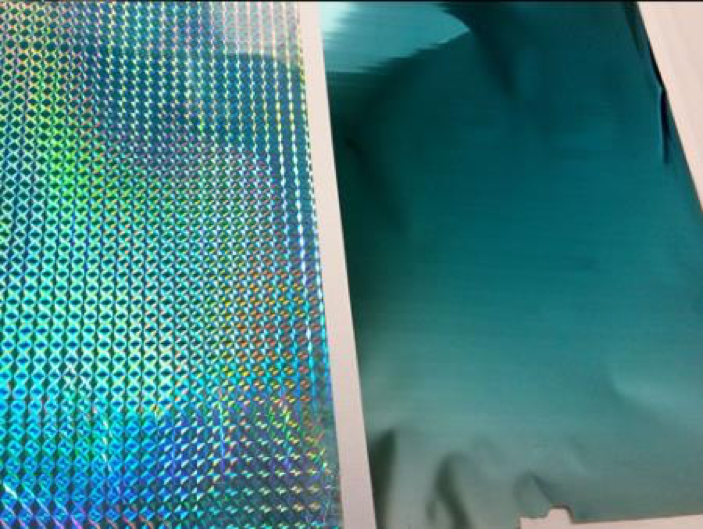 The innovative process can be used as laminated or hot stamped holograms for security, decorative or other applications.